Where are Hawkshead Suites located? 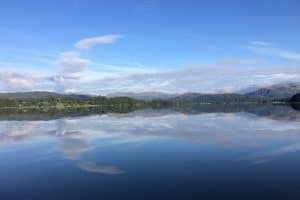 The suites are located in the picturesque village of Hawkshead, notable one of the prettiest villages in the Lake District, with four Lakeland pubs with restaurants, and lots of tearooms and local shops. This is a very central location to discover all this wonderful area has to offer, with fabulous walks and cycling from your doorstep. Please don’t hesitate to call if we can be of any help at all or if you would like to confirm a reservation.